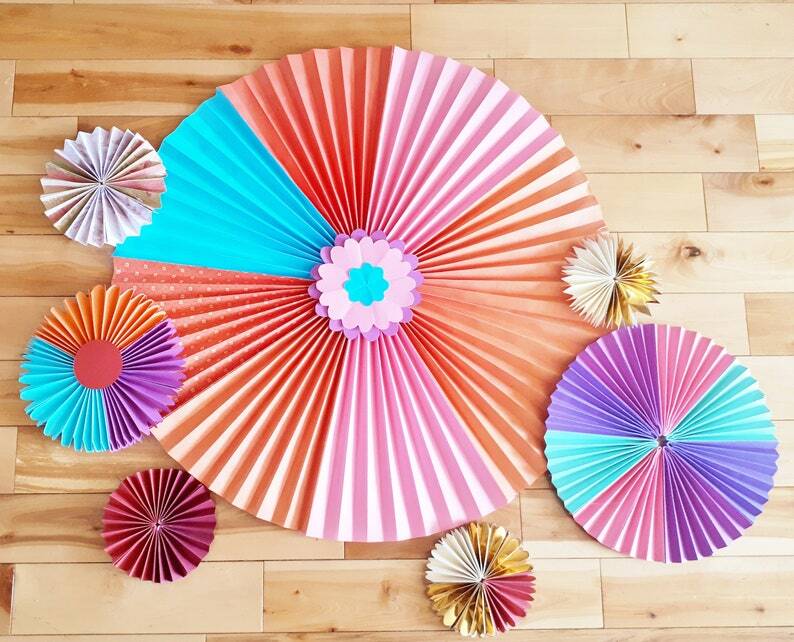 Paper Rosettes or Medallion Fans are a perfect wall decoration for events, weddings, home decor, baby nurseries, and baby or bridal showers. This set comes in multiple colours, red, gold, pink, blue, purple, and orange. They range from 5-26 inches and lay flat. Sold as is and Ready to Ship in 1 - 2 business days.